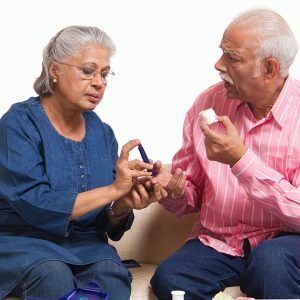 In case he/she forgets to take medicines, be attentive to the medication used to treat diabetes and remind them on a timely basis. Take the effort to prepare food according to the medical recommendation and keep consistency. To reduce the household economic burden, pay for private medical consultations. Help one another morally in times of crisis with an expression of affection, listen to and chat with them more often, share moments of leisure and relaxation. Agree to be on the same page while battling with the condition. It is a known fact that a strong bond with the family members helps to maintain a positive attitude toward diabetes. Family members can actively support and care for people with diabetes. Most individuals live within a household that has a great influence on diabetes management behaviours. They can provide many forms of support, such as instrumental support in driving the person with diabetes to appointments or helping them inject insulin, and social and emotional support in helping them cope with their condition. Through their communications and attitudes, family members often have a significant impact on the person with diabetes psychological well-being, his/her decision to follow recommendations for medical treatment, and ability to initiate and maintain changes in diet and exercise.